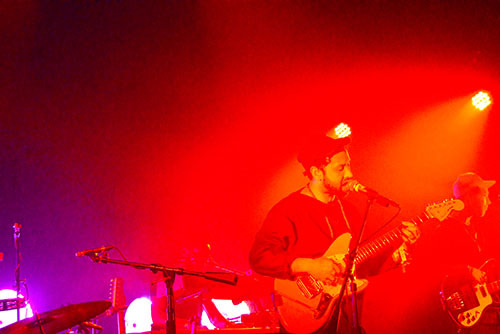 Unknown Mortal Orchestra are difficult to pin down. This is something that has only increased in magnitude over time. 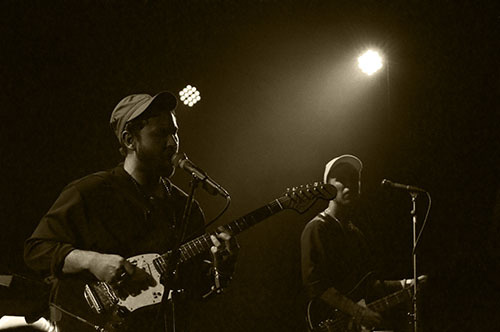 On his recently released third album Multi-Love, the band’s primary architect Ruban Nielson might as well have titled it multi-influence as he takes a signature lo-fi psych-pop sound and infuses it with elements of funk, soul, blues, disco and much more. The one thing holding it all together is the record’s overarching thematic exploration of polyamory (hence the title) and the impact one woman had when she joined Nielson’s already established family. While stylistic expectations and societal norms may be upended, the overall focus stays strong and prevents things from totally going off the rails. 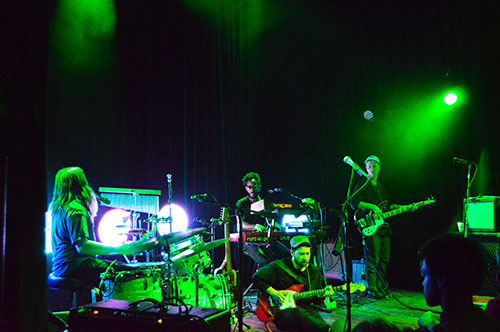 A similar approach has made its way into UMO’s most recent live shows, and was on full display this past Saturday night for a wild and funky set at Lincoln Hall. In contrast, a little more than halfway through the set the band took single “So Good at Being in Trouble” and extended it to encompass some incredible guitar and drum solos. 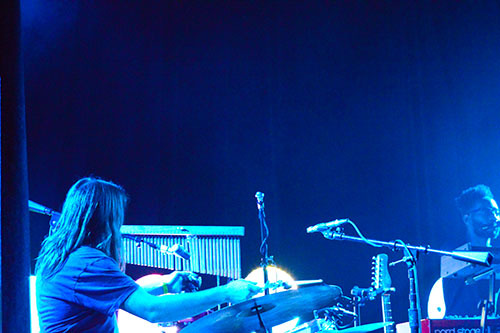 When a band fires on all cylinders like that, it can make for a truly transcendent experience, as this certainly was. It also served as a great reminder of how ridiculously talented of a guitarist Nielson is. No matter if he was jamming for fun or playing an intricate part because that’s what the song required, the way his fingers would fly around the fret board and pluck those strings was almost always a treat to behold. The real shame is that he didn’t do more of it. Of course when your set primarily focuses on your new album which doesn’t feature as many guitars let alone solos, there’s no point in trying to shoehorn them in. Actually Nielson put down his guitar towards the end of the night for a synth-heavy performance of “Stage or Screen,” which freed him up to climb atop some speakers on the side of the stage as well as pull off a funky spin into the splits as a capper. That was arguably the most fun he had all show, though the loud cheers from the crowd and people yelling “Ruban!” kept him smiling for much of the evening. Speaking of the crowd, their passion and energy was nothing short of infectuous. There was an older gentlemen standing in front of me, likely in his mid-50s and dressed like he had just come from a fancy dinner, who spent most of the show jumping around, dancing and just generally having the time of his life. He might not have looked like the average Unknown Mortal Orchestra fan, but in many respects he showed more enthusiasm than a lot of people who are half his age. Part of me wonders if his fanaticism pushed others to more freely express their own by dancing and singing along. 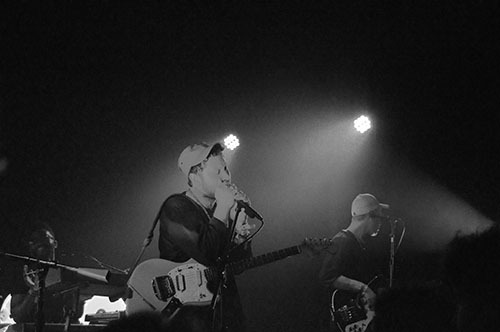 Things really picked up at the end of the set, with the one-two punch of 2010 single “Ffunny Ffrends” and 2015 single “Multi-Love” subtly placing emphasis on how much UMO has evolved over these last few years. 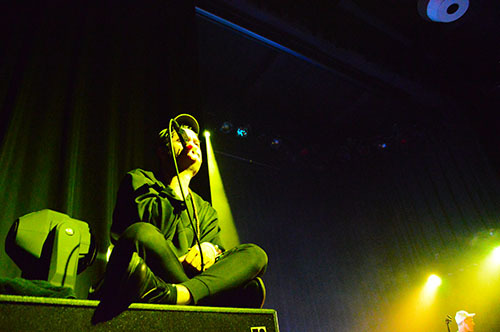 The double-barreled encore of new songs “Necessary Evil” and “Can’t Keep Checking My Phone” then offered up a closing salvo, the gleeful smiles and writhing bodies connecting with each melody to ensure the future of this project will be anything but unknown. Buy Multi-Love from Jagjaguwar or via iTunes.